Here at Joey’s we have carried out a huge amount of work to promote positive mental health. One of our latest achievements was becoming a Cycle Against Suicide Ambassador school this academic year. Furthermore, our very own Seán Higgins (5th year student) was selected as 1 of only 15 students countrywide to be a student leader for this amazing organisation. 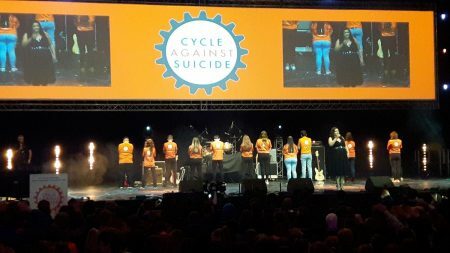 This year’s annual Cycle Against Suicide Student Leaders’ Congress event was held in the 3 Arena on Tuesday, April 9th. 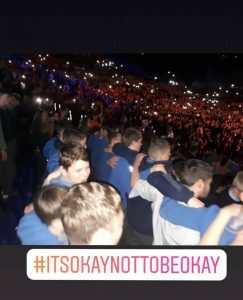 This event was a fun, uplifting and educational day, where 6,500 young people left with knowledge and skills that they will carry throughout their lives. 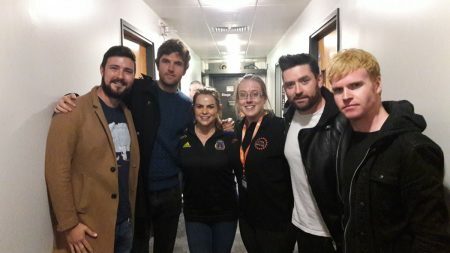 As a celebration of mental health this education day was also supported by Kodaline and The Academic. Some staff were even lucky enough to meet them! 65 of our students attended this event and an outstanding time was had by all!